Warning: minor spoilers for X-Men: Apocalypse are ahead! It’s been 10 years since X-Men: The Last Stand was released, and it’s still considered one of the worst entries in the X-Men movie series. Fortunately, the franchise managed to pick itself afterwards, and its latest entry, X-Men: Apocalypse, has some fun at its 2006 predecessor’s expense when one of the characters mentions that, "Everyone knows that the third movie is always the worst." While that line is certainly applicable to a lot of threequels, X-Men producer Simon Winberg admitted it was a way to poke fun at themselves after so much time had passed. To be honest, I don’t remember who came up with it. Certainly it was something I was aware that it would poke fun at X3. It was also a bit dangerous because First Class and Days of Future Past are very good films and it potentially puts Apocalypse in the crosshairs as well. It was just a joke that I thought people would get a chuckle out of. We’re ten years away from X3 and we felt that if Deadpool can make fun of X-Men movies, we can too. This particular joke in X-Men: Apocalypse comes after Jean Grey, Cyclops, Nightcrawler and Jubilee have seen Return of the Jedi, the third movie in the original Star Wars trilogy, at their local mall theater. While chatting with Cylops, Jean makes that "third movie" comment. 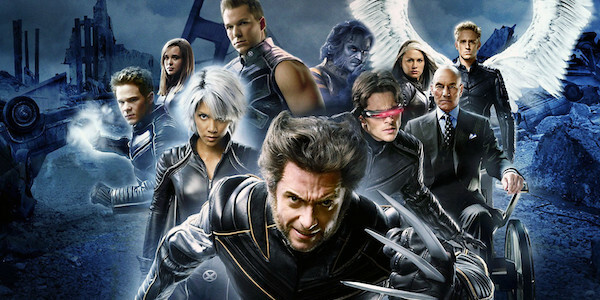 X-Men: The Last Stand earned a number of criticisms upon its release, from Brett Ratner’s direction (taking over Bryan Singer’s spot) to the controversial ways Professor X, Jean Grey and Cyclops were killed off. However, the events X-Men: Days of Future Past retconned most, if not all, of what happened in X-Men: The Last Stand, creating a new timeline. Ironically, the joke also comes at the expense of X-Men: Apocalypse itself, which is the third movie in the "First Class" trilogy. Since being released ahead of time for critics and various other territories, the move as earned mixed-to-negative reviews, and it currently sits at 48% among critics on Rotten Tomatoes. That ranks it as the worst of the main X-Men movies, though 2009’s X-Men Origins: Wolverine is still considered the worst of all the movies in this universe, sitting at 38%. Of course, as with any movie, individual opinion is subjective, so don’t let that deter you from seeing it if it looks interesting to you. At the very least, it looks like X-Men: Apocalypse will end the current era of X-Men movies and kick off their next stage with a bang, and it’s already drawn in a lot of money internationally. X-Men: Apocalypse hits U.S. theaters tomorrow, though depending on which area you live in, you may be able to see it tonight.